​Newcastle United's forgotten left-back Achraf Lazaar looks set to be leaving the club in January after the Magpies received a loan bid from Cagliari of Serie A. The 27-year-old has spent the first half of the season with Newcastle's Under-23 side, playing four games and providing four assists, as first team opportunities for the Moroccan international under Rafael Benitez have been few and far between. As a result, ​The Chronicle are reporting that Cagliari have lodged a bid to take the left-back on loan for the remainder of the season, although personal terms are yet to be agreed. 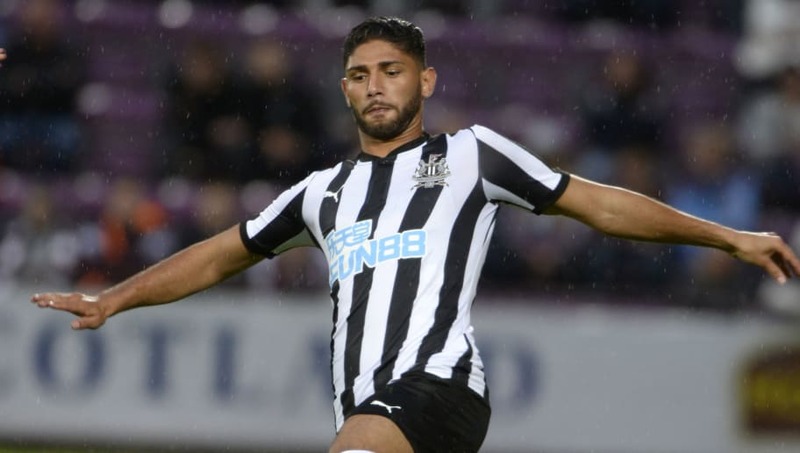 Lazaar has played just ten first team games for ​Newcastle since arriving at the club in 2016, with his last appearance coming in the Carabao Cup in September 2017. Should Lazaar move to Cagliari, who are 13th in ​Serie A with 21 points from 20 games, it would be his third loan move to Italy during his time at Newcastle, having previously spent time at Palermo and Benevento. Despite appearing to be frozen out of matters at St. James' Park, Lazaar has spoken previously about his desire to remain fit and ready, stating: "I don’t know what his (Rafa Benitez) plans are. "Whatever the reason I respect it because he is a great manager and I can only learn from him. Personally, I will work hard, every day, to be ready for everything. Whenever the manager will need me, I will have to be ready. "I am fit, and I have been training hard to have even just half chance to prove Benitez that he was wrong." Newcastle, ​who recently saw a loan move for SS Lazio left-back Jordan Lukaku fall through, are just two points above the ​Premier League's relegation zone, although their attention this weekend is on the FA Cup, as they face Watford in the fourth round.